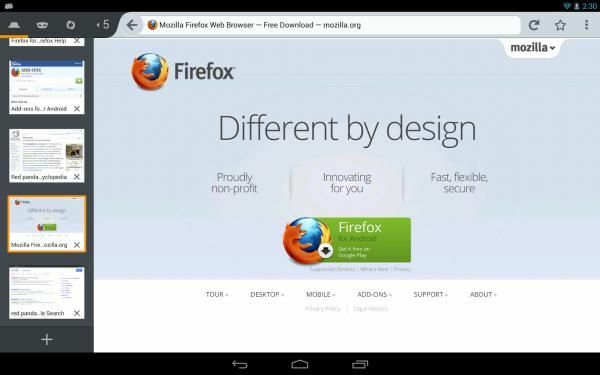 Firefox has released a new Android (Beta 23) browser update for downloading and testing. The new update brings performance improvements, improved language support and a 'Awesome' screen for bookmarks. 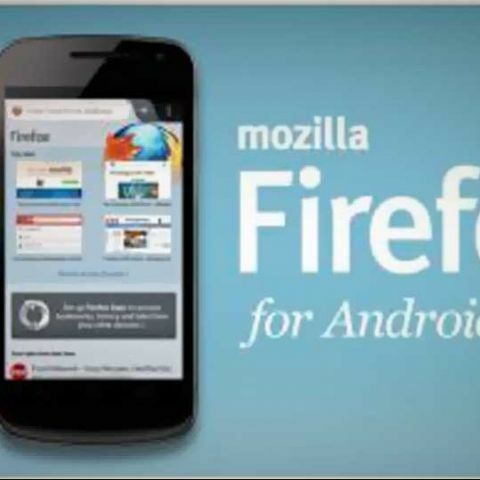 The new Firefox Beta 23 update for Android adds language support, helps users to “share content quickly and easily”, adds new features like Quickshare, Awesome Screen and gets an NFC Bump. The new Firefox for Android Beta 23 update has supposedly made sharing easier, especially with updates like “Quickshare” that create social sharing/shortcut menus similar to other OSes. It has added support for more languages, like as Catalan-Spanish, British-English and Swedish. It has also added NFC Bump - where both Android devices need to have NFC turned on and can share data just by knocking the phones together. The new Beta 23 update also includes improved formatting, and makes it easier for the reader to switch between dark and light mode or vice versa. User can activate this mode automatically or manually. The new update has a new 'Switch to Tab' feature that allows you to quickly access bookmarks saved in your "Awesome Screen" beneath your active browsing tab, without having to open new URL's. The Awesome Screen is considered similar to the bookmarks page in Google's Chrome browser. The Beta 23 update also lets the title bar predict and fill the URL automatically similar to the Omnibar functionality in Chrome. If not in use the title bar will slide out of view giving you more screen space. Firefox has also added support for WebRTC which gives “plug-in free real time communication” through its Google I/O video showing off the streaming capabilities of this technology. The technology will make voice and video communication experiences better. For e.g., a single app made for WebRTC can help you communicate across all browsers without having to install the same VoIP application.